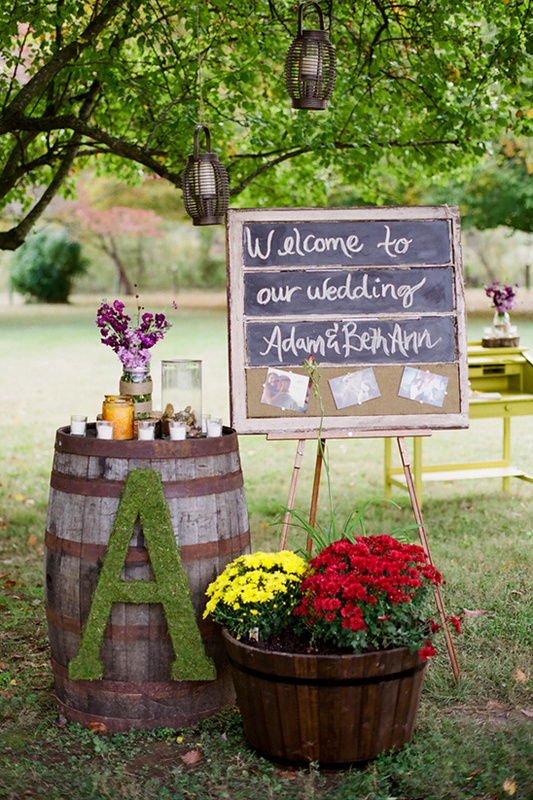 Adam and Beth Ann were married on her family's historic rainbow-trout farm nestled among the colorful hills of Hickman County. 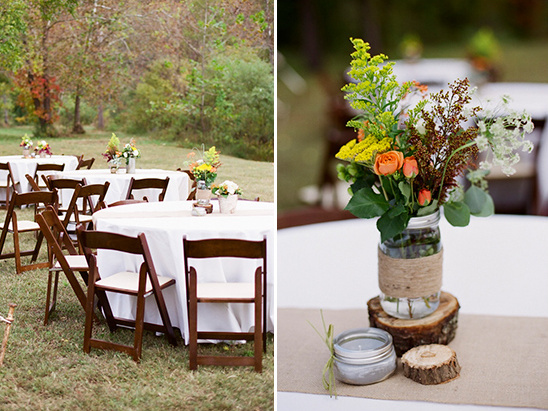 After the beautiful outdoor wedding ceremony, guests mingled around the fire-pit by the creek until dinner was served. 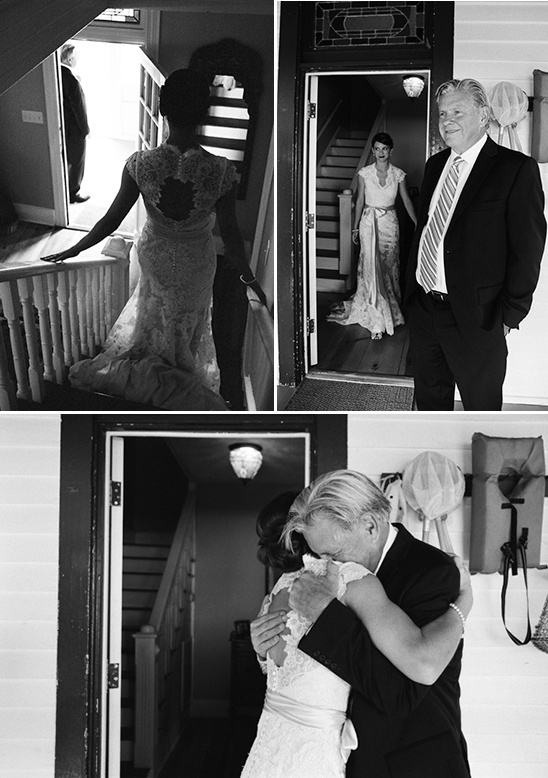 Beth Ann's brother and his 7 year old daughter serenaded the newlyweds for their first dances, and before the evening was over, Beth Ann's brother surprised her with a song he wrote just for her. 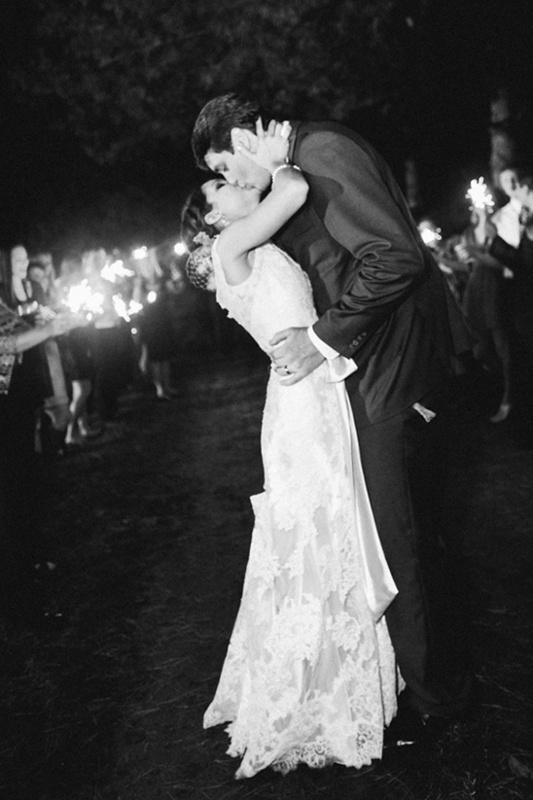 A sparkler send-off provided the perfect conclusion to such a lovely wedding that we know you are going to enjoy. 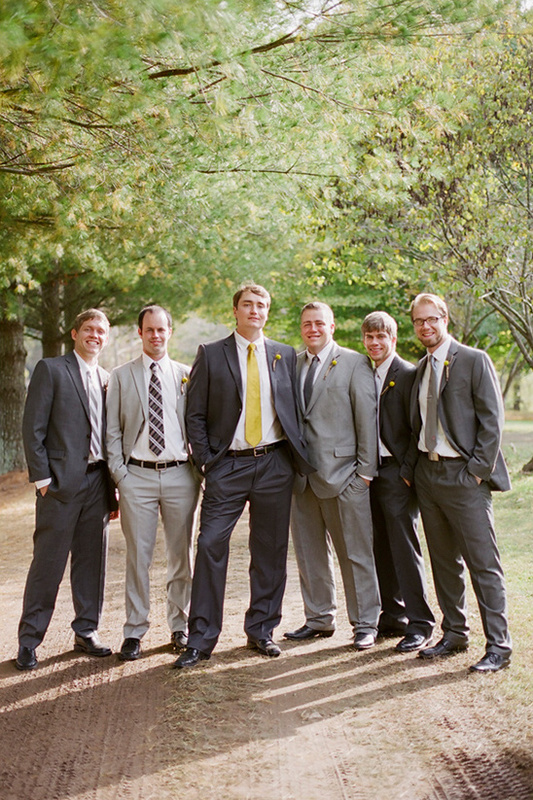 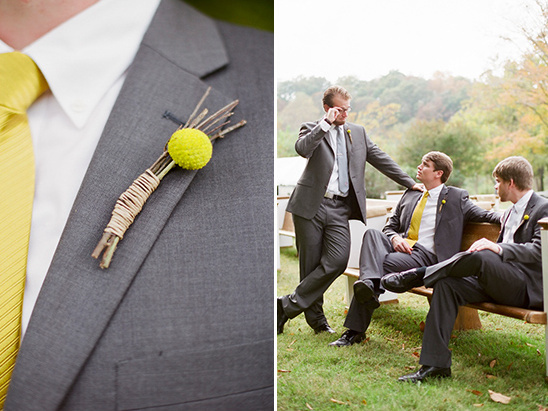 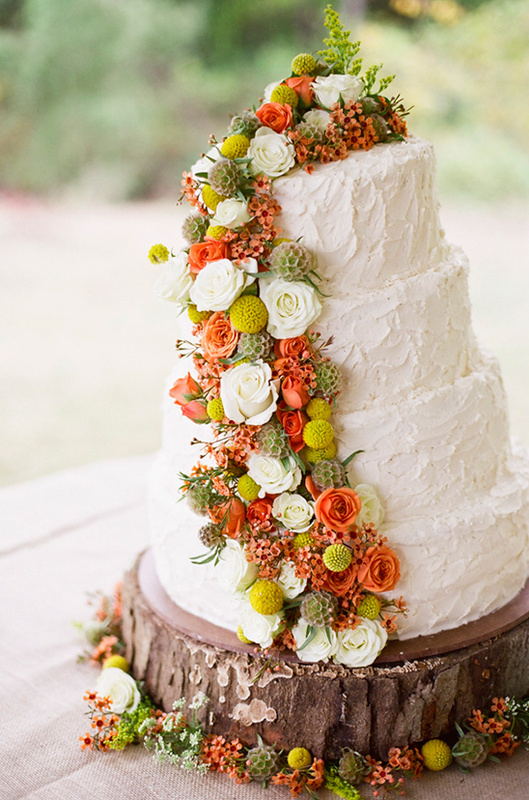 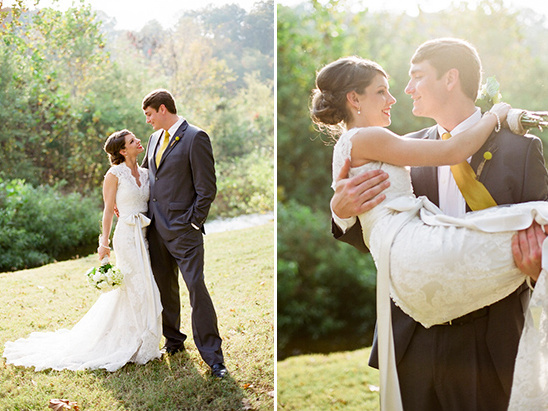 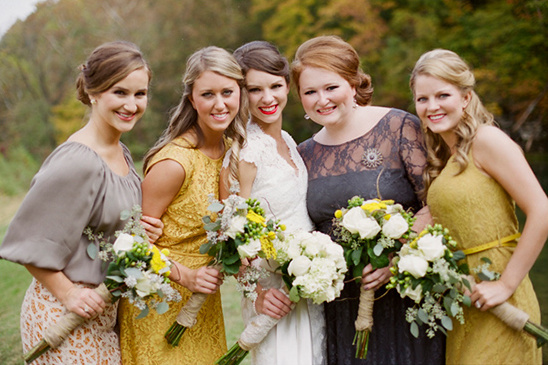 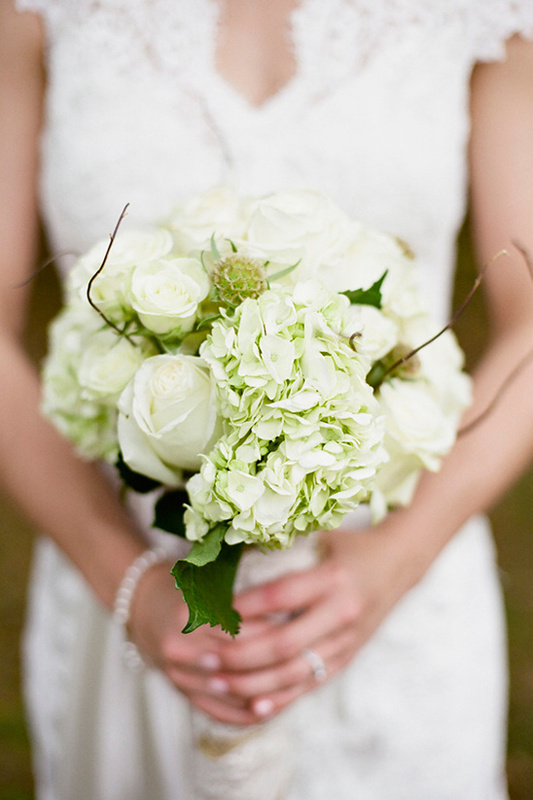 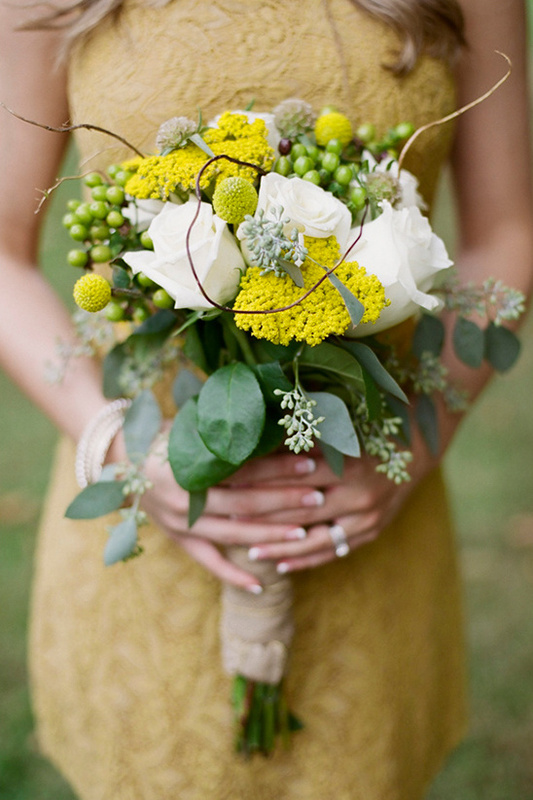 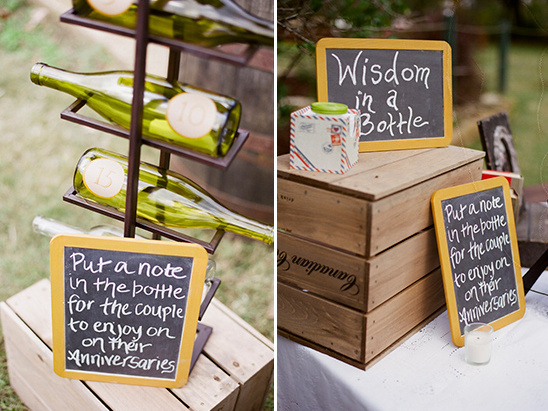 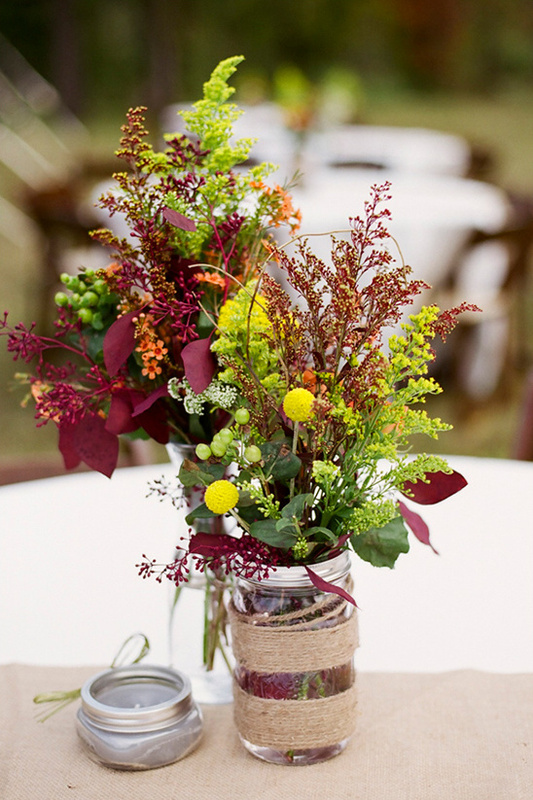 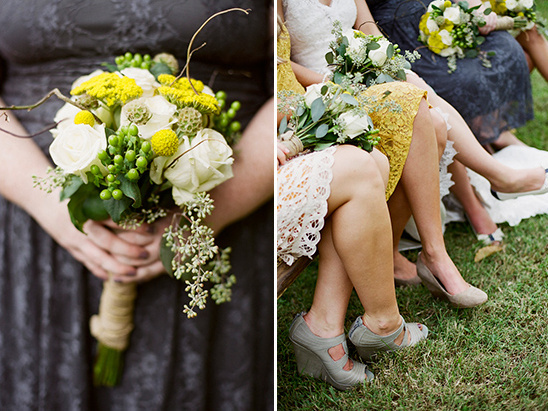 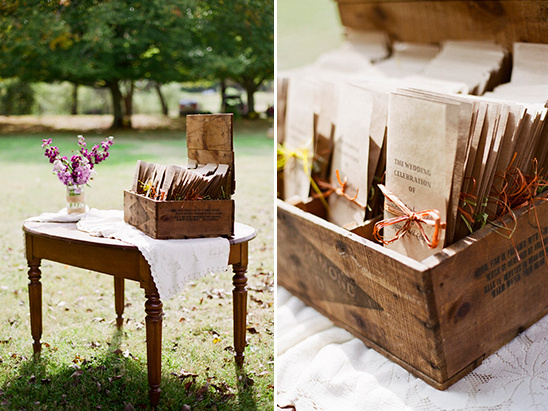 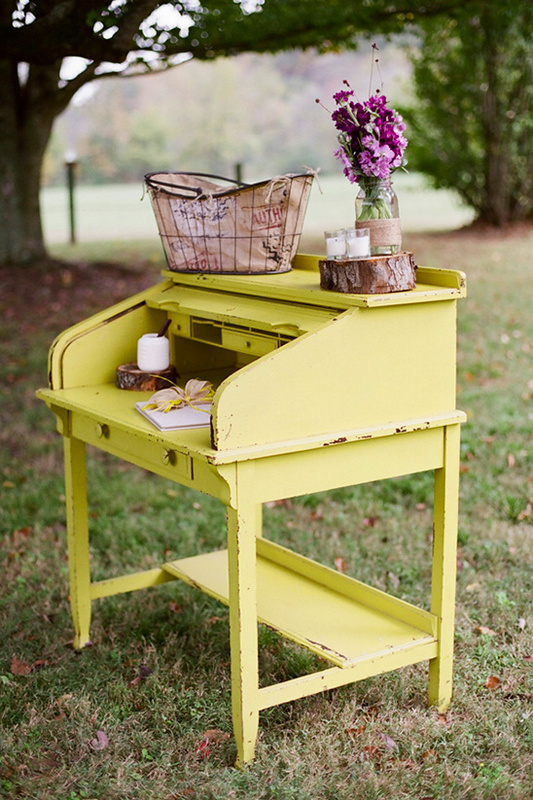 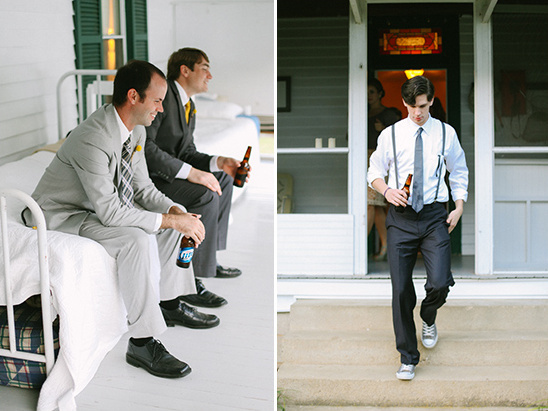 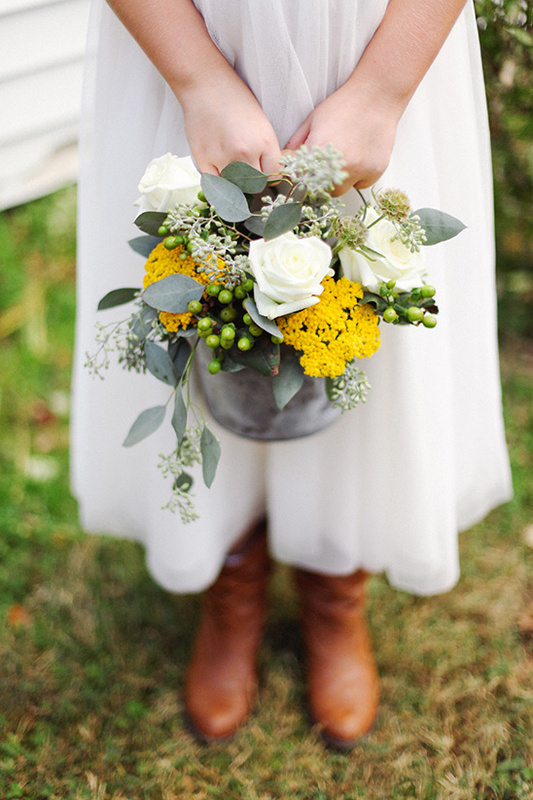 There are so many more stunning photographs from this elegant Tennessee backyard wedding. 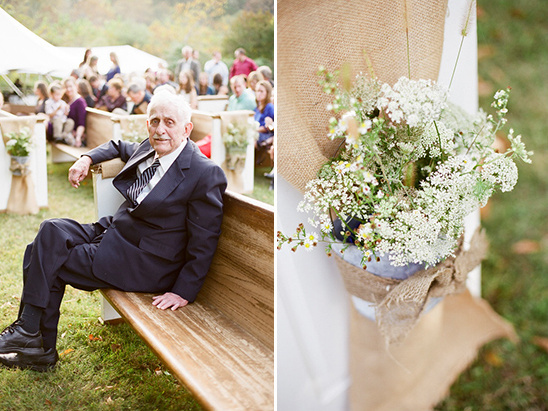 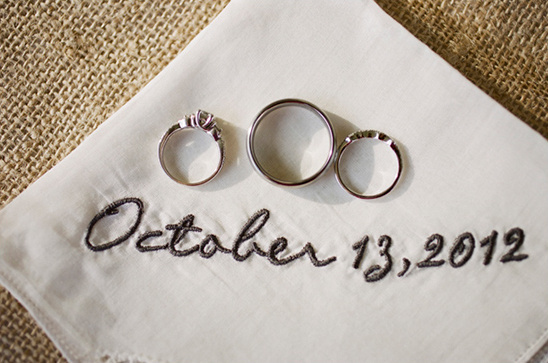 See every last detail in the full gallery here, all beautifully captured by Jenna Henderson. 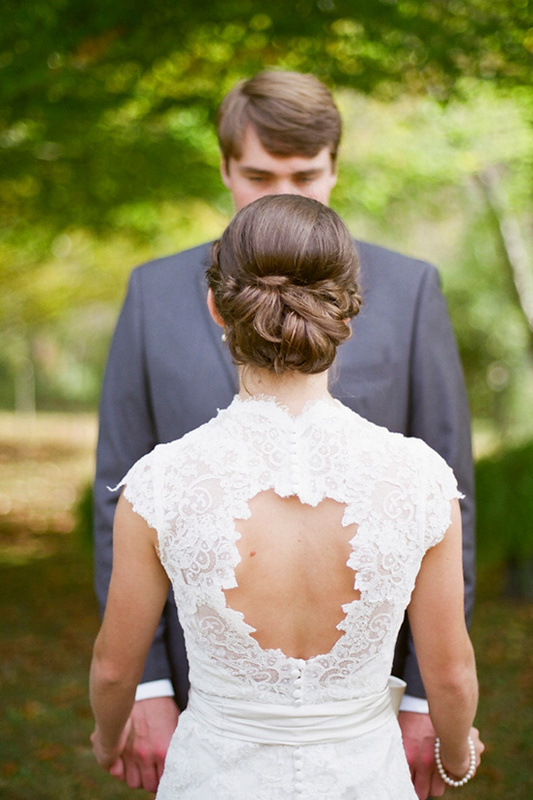 From the bride:I knew it was going to be a perfect day when it began with yoga by the lake, sipping coffee on the screened in porch, and being serenaded by my brothers as I got all dolled up. 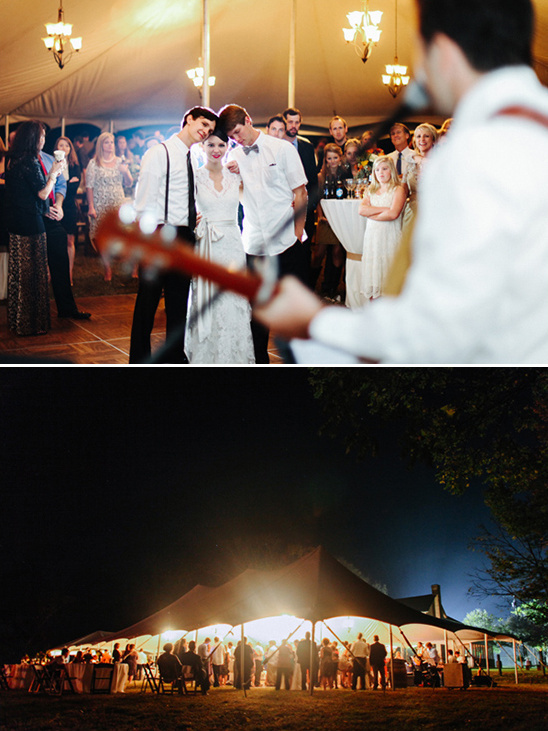 Adam and I wanted that feeling of home to continue through the evening and be felt by all who came. 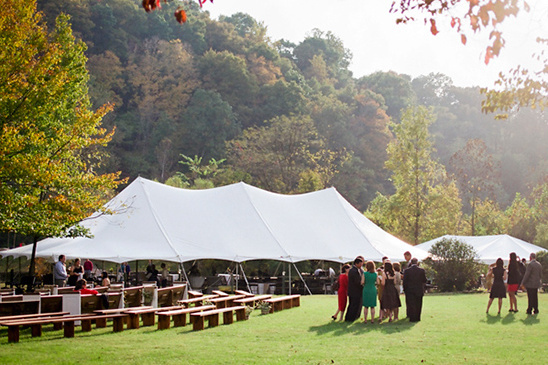 I believe our intimate outdoor ceremony, serving communion to our friends and family, eating southern cooking and apple pie, and dancing the night away to my brother's band, was simply - us. 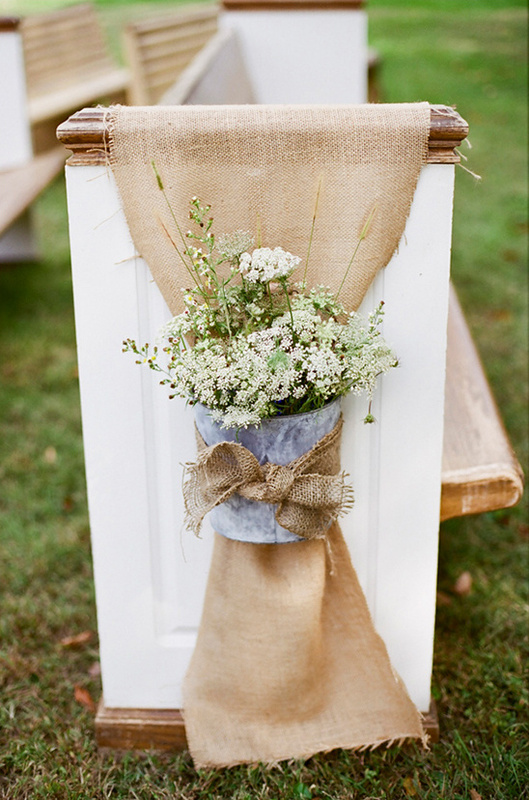 We cherish our home grown wedding as it allowed us to savor each moment, appreciate each detail, and celebrate the love we share with our favorite people! 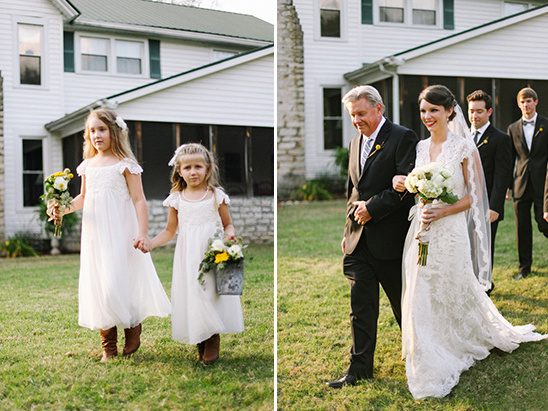 The ceremony was held just a few yards from where Beth Ann's parents were married almost 32 years prior. 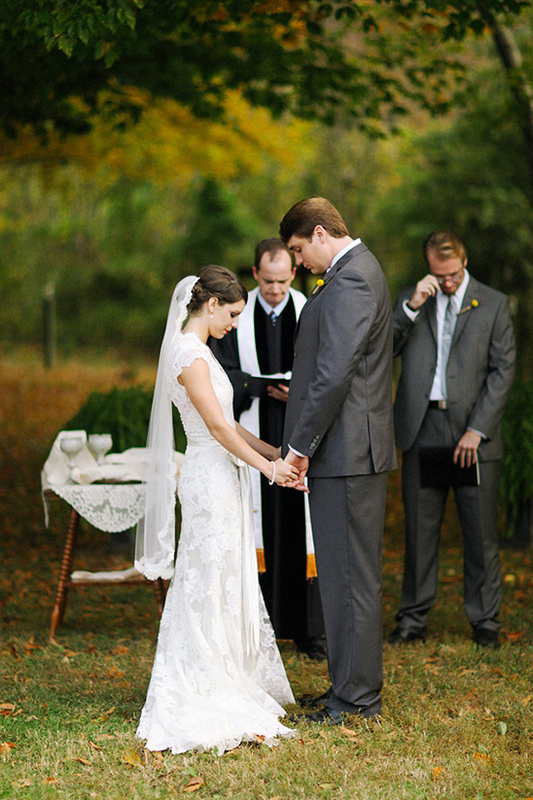 During the ceremony, Adam and Beth Ann served communion. 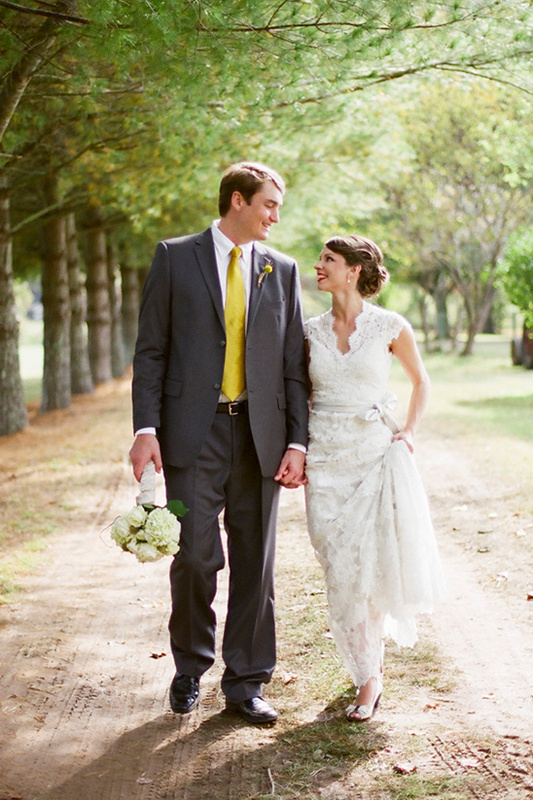 "We wanted our first act as a married couple to be one of service," said Beth Ann.